Optience was founded in April 2003 in Campbell, California. The founders of Optience have unique expertise in solving large-scale optimization problems which involve both combinatorial and nonlinear challenges commonly encountered in the process industry. Most of our staff has advanced degrees in Process Systems Engineering and Optimization Science, mainly from Carnegie Mellon University. Besides this academic background, our founders have upwards of 50 years of industrial experience in knowing what it takes to implement technology to deliver practical results. Prior to Optience, the founders applied these strengths at Mitsubishi Chemical Corporation, where they optimized the workflow in applications ranging from the Research and Development area to Manufacturing and Strategic Business Planning. 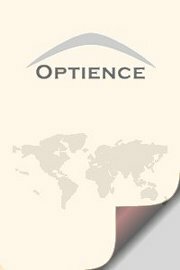 Today, Optience is a global organization meeting the needs of chemical companies across many continents. The SCMart Suite is the state of the art tool for planning and scheduling and REX is the first integrated software for kinetic parameter estimation and reactor optimization. We differentiate ourselves by working closely with our customers to do what it takes to exceed their expectations. Optience has an exceptional staff of skilled professionals that work with you from the early stages of strategic opportunity analysis to final implementation and training.